Iowa is the leading producer of corn in the USA. 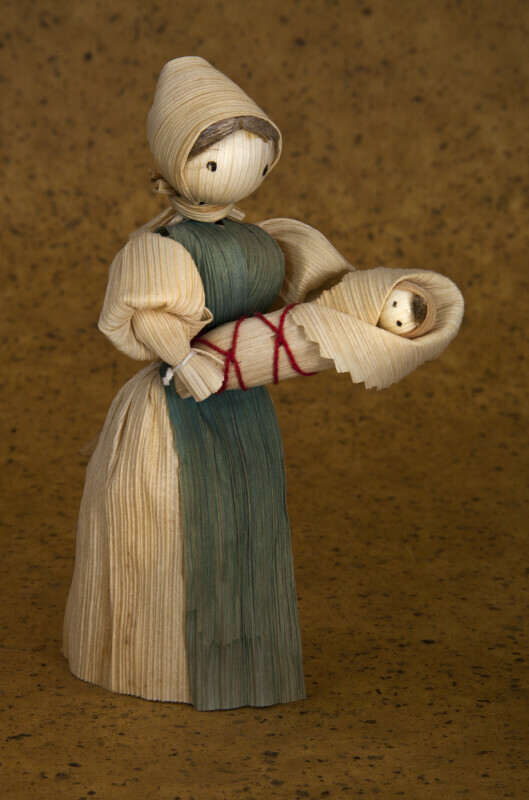 This female doll and baby are handcrafted from corn husks that have been soaked in warm water. The husks are then formed into the body, arms, head, dress, scarf, blanket, etc. The woman has a blue cornhusk in the front of her dress. The baby is wrapped in a cornhusk blanket, that is tied with yarn (much like a papoose). The hair is made from fibers. The figure stands 6 inches (16 cm) tall.